Join us for a life-changing look into how energy manifests into physical form through the chakras and glands and what you can do about it in this Elemental Ayurveda Workshop. 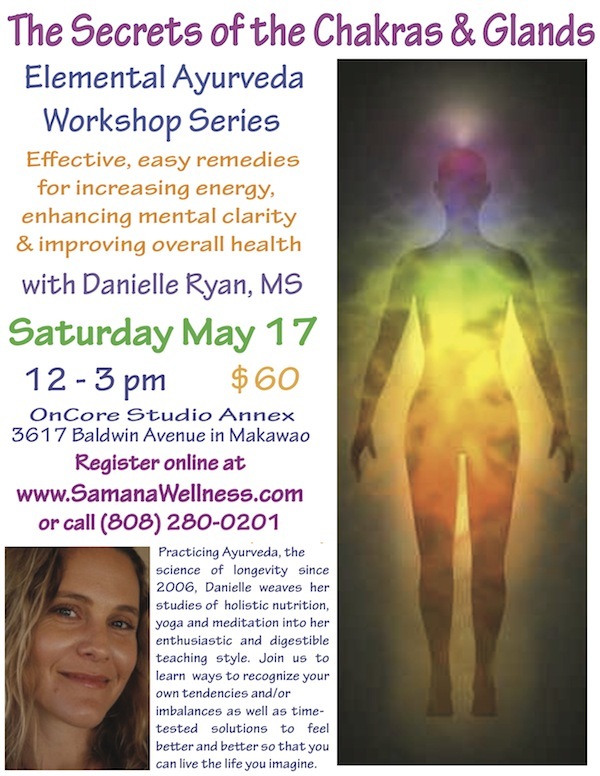 Whether you are new to Ayurveda (the Science of Longevity) or a seasoned practitioner this workshop will offer you perspective and solutions to support optimal health for your body, mind and spirit. Space is limited. Register now to reserve your spot.